Is it really mid-month? September has been crazy-busy. That laid back summer weekday pace is behind us and weekends fill up so fast. First, we had an amazing Labor Day with all of our daughters home. Last weekend was our annual Girl's Outing - an overnight with my mother and all three of my sisters in honor of Mom's birthday. And today, we are off on a day trip to visit Twin A . That should mean a wonderful brunch somewhere in Rhinebeck, NY. 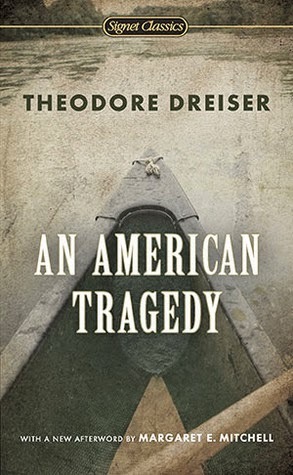 I finished An American Tragedy by Theodore Dreiser yesterday! Just under 900 pages and I almost hated to see it end! Published in 1925, it's based on an actual murder which occurred in the Adirondack Mountains of NY in the early 20th century. A couple hundred pages (at least) could easily have been cut, but it was still a great read. I'm glad the Classics Club Spin dealt me this title. 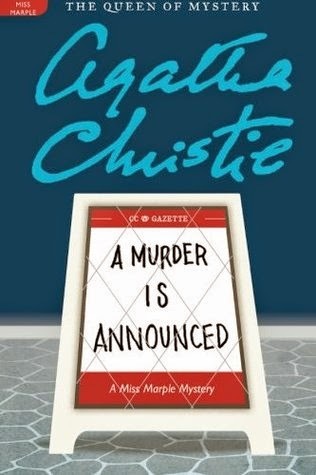 I'm 33% done with A Murder is Announced by Agatha Christie, but didn't pick it up at all last week while I was focused on An American Tragedy. It's on my kindle, so that means it will be my bedtime reading this week. R.I.P. 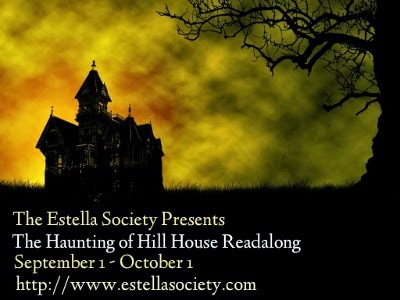 IX - I finally got around to signing up, and will participate in the group read of The Haunting of Hill House by Shirley Jackson hosted by The Estella Society. I borrowed the book from my library and started it yesterday. 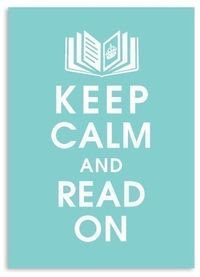 Terri sent some very helpful advice - do not read before bed! This is going to be fun. Fall arrived with a vengeance this week. Last Friday, we flirted with 90 degrees and two days ago we never hit 60. Comfort food was definitely in order, so I broke out slow cooker and tried a Crock Pot Potato Soup... it definitely hit the spot! Mostly football right now, but I'm excited about a few upcoming series. First, The Roosevelts: An Intimate History filmed by Ken Burns hits PBS tonight. Season 2 of The Paradise begins on Masterpiece September 28. Season 1 is available on Netflix Instant now if you need to catch up or would like a refresher. Finally, have you heard that Olive Kitteridge, based on the novel by Elizabeth Strout, will be an HBO miniseries? That one is coming in November. We've never paid for HBO... perhaps the time has come. This should all make the wait for Downton Abbey a little more bearable. And college basketball isn't very far away, either! Same weather dip (I loved it! ), same instinct for soup. I made a new chicken and sweet potato chowder, which I loved! I'm so looking forward to The Roosevelts. And The Paradise! I'm intrigued now about Olive Kittredge - I've heard of it but haven't read it. I "had" to get HBO in my cable package, but I've never felt that I got my money's worth out of it. This should help! Audrey - Our cable bill is ridiculous, even without "premium" channels. I'm wondering if my sister can DVR it for me..
Glad to hear you are enjoying the change of seasons JoAnn. I enjoyed our first temperature dip. I think the 90 degree weather may just be a memory now. Have a great week. Pat - We don't even have 70's in the foreseeable future. Fall is definitely here! I wish I could have brunch in Rhinebeck. We fantasize about retiring there or nearby. We have lovely fallish, bright sunny weather today so DC seems pretty magnificent. Thomas - Rhinebeck is such a beautiful little town with so much to do in the area. An easy train ride to NYC, too. Seems to have all the essentials for retirement! Sounds like some nice trips coming up. Enjoy that brunch and the rest of summer/beginning of fall! Thanks, Harvee. This is definitely my favorite time of the year! I'm impressed that you read An American Tragedy - books that big always intimidate me. Kathy - The read/listen combination definitely helped! I'm surprised too that it is already mid-September. Where did this month fly off to? An American Tragedy is on my list to read. I wonder if it's available in audiobook, I would prefer to listen to it. Athira - An American Tragedy is available on audio, narrated by Dan John Brown... a very, very good production. This was a read/listen combination for me! I can't believe how quickly this month is going! Scott will be out of town this week which means that time will both drag and fly--and then October! I'm glad you enjoyed American Tragedy--I always have to work up to reading big classic chunksters like that! Trish - I know what you mean about chunksters like that. Doing a read/listen combination usually helps me. Diane - Not very far in yet, but I like Hill House already. 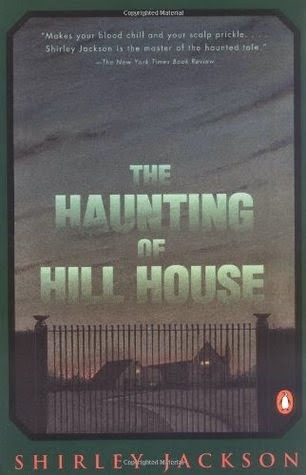 The Haunting of Hill House is great (and there ARE a couple of movies done based on the book FYI). I can't get into fall when it is 93 degrees every day, but I'm hoping a whisp of cool air blows through maybe by the end of October? Maybe then I'll make pumpkin muffins or some soup. Wasn't a huge fan of Olive, but if you are signing up for HBO, GAME OF THRONES baby. So good. You'll never unsubscribe. Sandy - I'm afraid if I get suckered into HBO for Olive Kitterididge, it will become a permanent addition to our cable bill... and probably a gateway for other premium channels. Sigh. Oh yeah, The Haunting of Hill House gave me the heebie-jeebies! Lisa - I've been advised not to read that one at night, lol! A little Agatha Christie before bed sounds so cozy! 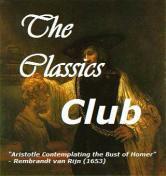 I haven't even started my Classics Club spin book yet so I am very impressed that you've finished such a hefty one. I've always loved the film that was based on the book - Montgomery Clift is so perfect in it. I look forward to the Olive Kitteridge series as I really admired the book. Anbolyn - I'm going to have to get a hold of that film. It's not on Netflix instant, but I'm sure it's available through the library. Thanks for the heads up on the Olive Kitteridge miniseries. I must watch that. Loved that book. Deb - That book is one of my favorites! The Roosevelts should be interesting .. . this summer, we had a really enjoyable visit to the Roosevelt summer home on Campobello Island in Canada, just off the coast of Maine. It's so beautiful there--but I also found it very poignant, since that is where FDR contracted polio. Glad you signed up for the Haunting of Hill House readalong! Leila - We've visited Hyde Park, but I'd love to see Campobello Island, too! Hill House is off to a strong start. You are busy this month! Beyond the Pasta sound like a great read, and the Christie one looks good too. It is definitely time for soups and crock pot food- and brunch sounds good too. Enjoy your week. Guy - Chuckling at your stance on football... thanks for stopping by! I saw a preview for the upcoming HBO series of Olive Kitteridge, and it looks so awesome. I haven't read the book yet...looks like I must! Your mention of the Crock Pot Potato Soup reminded me that I need to get a new crock pot in time for fall...thanks! 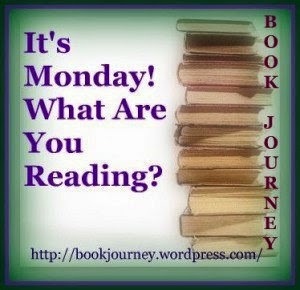 Laurel-Rain Snow - I think you would like Olive Kitteridge. Elizabeth Strout is a favorite author. I'm curious to see how they have done the miniseries. I am tivo-ing the Roosevelts to watch soon. We went to Hyde Park last year in upstate NY and we loved the tour of the area. I don't know if people realize what a great job FDR did as President for our country. Glad you are having Autumn weather--not here though. I have The Haunting of Hill House on my Classics Club list. Rita - I should probably do the same thing... not sure we'll be able to watch every episode this week. We visited Hyde Park last year, too, and had an excellent tour. One of my daughters goes to school not too far from there and I'd love to see it again before she graduates. Sarah - Hurray for football food! I love oysters, but never have them at home... strange. 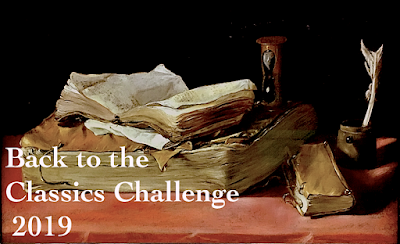 Quixotic Magpie - I'll write a wrap-up post on An American Tragedy for The Classics Club and am pretty sure it will be on my year-end favorites list. Italian Orzo Spinach soup sounds delicious! How lovely to spend time with family! While it may be cooling down there it is heating up here! Shelleyrae - It's always so strange to think of my friends coming out of a long winter while we are just gearing up - Happy Spring! I love the Haunting of Hill House. I'm hoping to have an in-depth look of it up next week. It's definitely creepy! I can't believe you've had 2 days where it hasn't hit the 60s! That'd definitely put me in the mood for soup as well. Have a lovely week! Katherine - Fall settles in early up here, but I haven't given up hope for a couple more 70 degree days! We're enjoying the cooler weather too. Finally! It puts me in the mood for spooky reads -- The Haunting of Hill house is on my list this month! Our temps have been a bit crazy, too. Highs in the 50s, only to bounce back to the low 90s. We had quite a storm last night and got over an inch of rain. Our yard is still looking lush and green... much more like June than September! I've got Olive Kitteridge in my stacks. I tried the audio, but couldn't get interested, so I picked up a copy at HalfPrice Books a few years ago. I'm sure I'll get it read before I get the miniseries on Netflix. Les - I hope you like Olive Kitteridge in print, but maybe it's just not for you. I loved the audio... that authentic Maine accent really spoke to me.